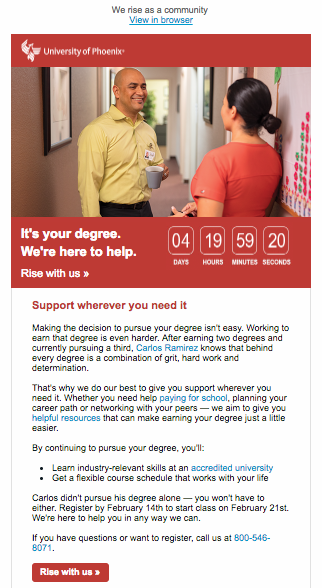 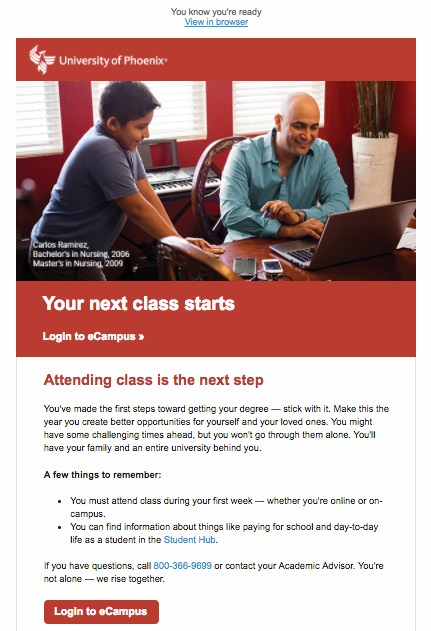 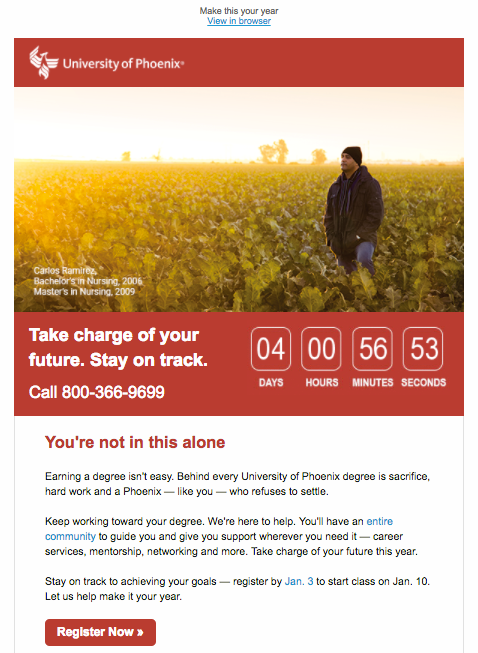 University of Phoenix provides access to higher education opportunities to working adults. 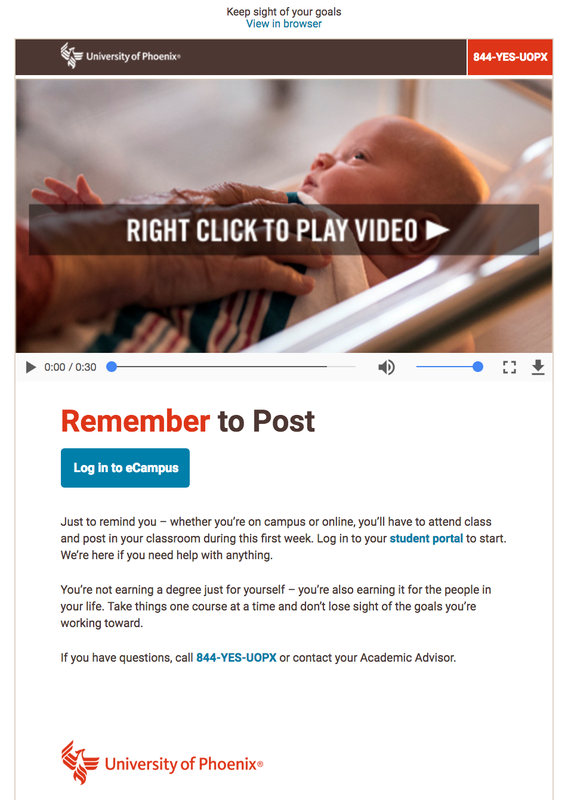 I worked on the Web Content and Creative teams, where I created and edited copy for a variety of marketing materials—everything from email campaigns to Facebook Community Guidelines to SEO-focused landing pages. 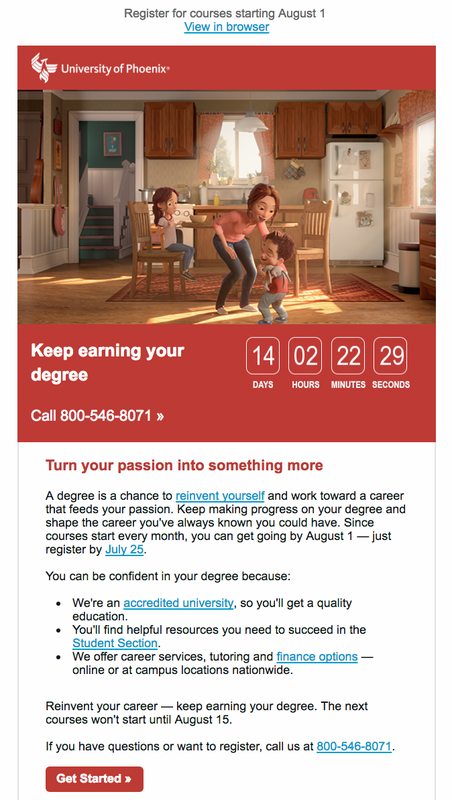 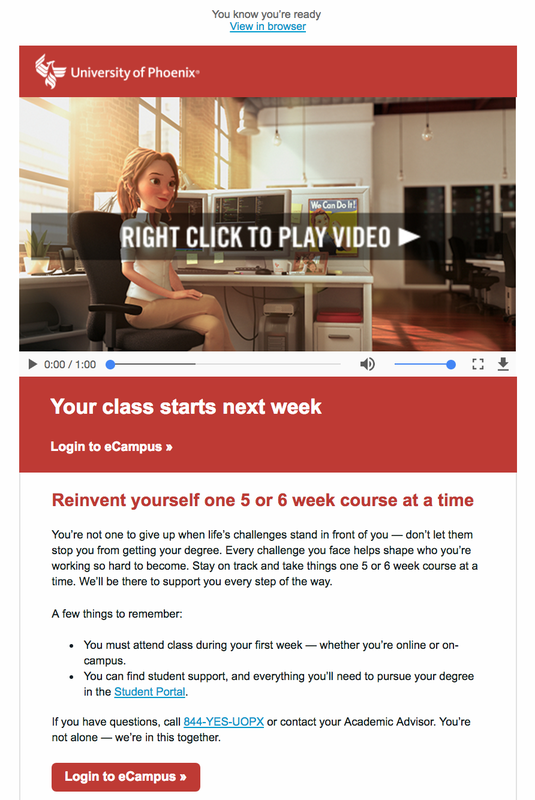 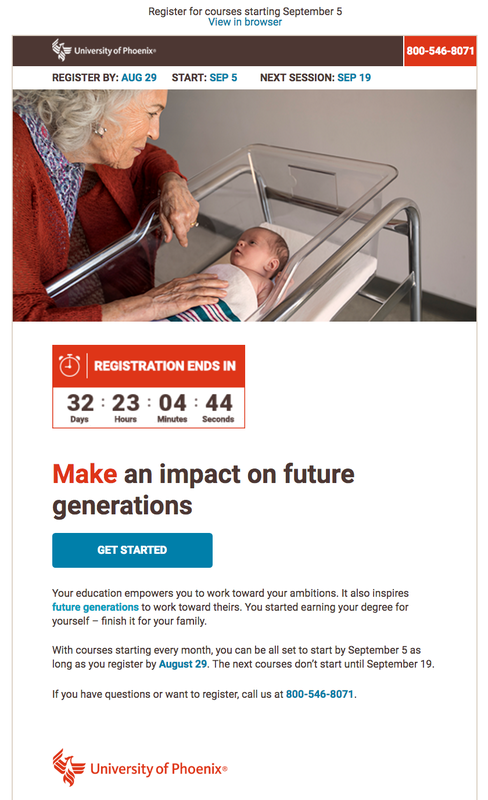 In these digital campaigns, we introduced inspiring heroes to encourage potential and current students to earn their degree and make their dreams a reality. 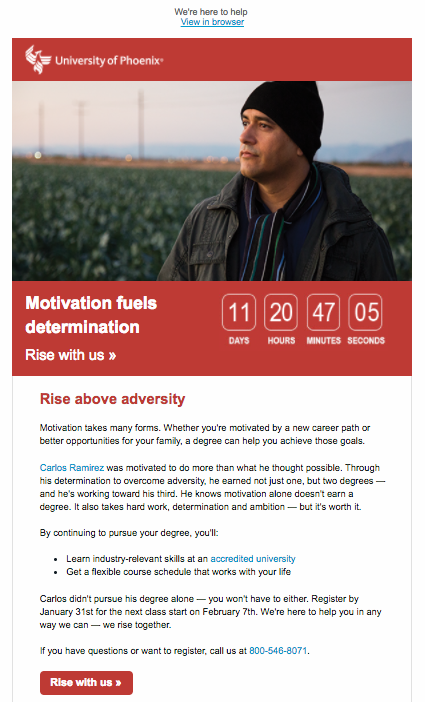 This campaign was fueled by the idea that a degree doesn't just impact one person—it changes the lives of those around the graduate in more ways than realized. 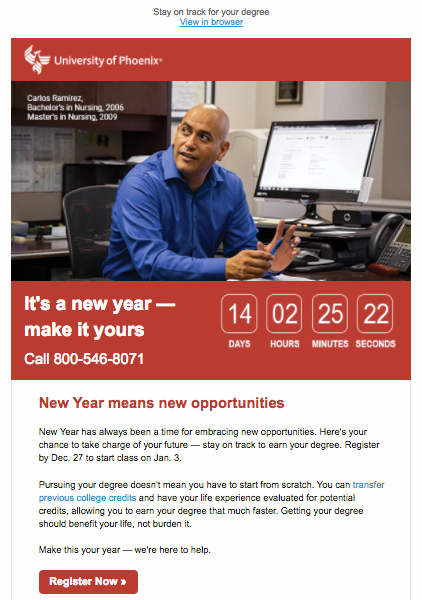 This campaign, pushed in mid-December, encouraged students and potential students to take charge of their future and embrace new opportunities in 2017 by registering to pursue their degree.